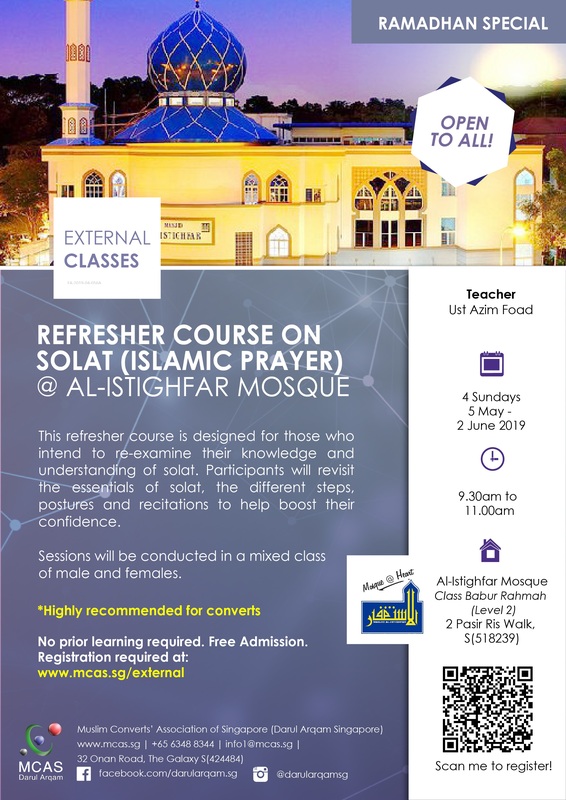 All classes conducted on mosques’ premises are in English. All registrations and enquiries shall be made to DARUL ARQAM SINGAPORE. All are welcome! Converts are highly encouraged to attend. Register and Join Us Now!